So, moving to another country has many quirks and lessons to be learned. You’re learning about a brand new culture, how they live their daily lives, and specific to this post, the kinds of things they like to eat. And, Iceland is no different for a couple of Americans. One of the (very strange, to me) things that Icelanders like to put in their food is this ammonium salt. In Icelandic, it’s called Hjartarsalt. You’ll find it in the fermented shark (another crazy disgusting food), some licorice candy, and baked goods. To a pallet that has never had it, though, it literally tastes like you’re putting a strong cleaning solution in your mouth. It legit induced my gag reflex, but apparently Icelanders like it. Here’s the thing, I learned the hard way that trying to grocery shop in a foreign country can lead you right into using Hjartarsalt. One week, I got a hankering for some banana bread. Every once in awhile I just really feel it, and this was one of those times. So, I set out to get everything I would need at the grocery store one weekend. Easy enough it seems, but remember that I’m shopping in a country where English isn’t the primary language, and many of the items at the store are in not just Icelandic, but you’ll find things in Danish, German, Swedish, etc. because of all the imports. So, when I went to try to find baking powder, I guessed and chose something that I thought might be it. Turns out it was not and isn’t was hjartarsalt. Go figure..
With my hjartarsalt in hand, I proceeded to make my banana bread the following day, not noticing what I had done until it was baked. Cade went up to smell it, expecting to be filled with yummy banana bread goodness, but instead got a nose full of ammonium. We tasted it and sure enough, it was terrible…had that same chemical taste. I started doing some research and discovered what I had done. Oh, the joys of living and learning in a new country. Needless to say, we couldn’t get ourselves to eat it but didn’t want to throw an entire loaf away. After working through some grief over not having my delicious banana bread, we decided that we’d save it and feed it to our local duckies. We had been wanting to feed them anyways, and here was some bread we definitely weren’t going to be eating. At the end of the day, the duckies were the real winners of this story, and I walked away with yet another lesson on culture and learning to bake in a new land. No after picture, because I was too sad. So, if you ever find yourself grocery shopping in a foreign country where English isn’t the primary language, prepare yourself for some headache and mistakes. It can be fun and interested until you end up with ammonium bread. 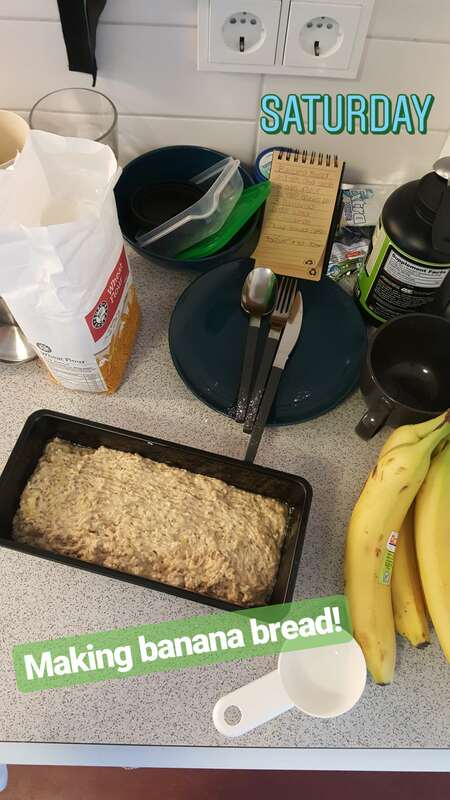 This post is from the banana bread baking failure day of October 21, 2017. Having smelled the hkartarsalt, I can see why the duckies were the recipients of the banana bread. I’m sorry that you didn’t get to enjoy any though! At least somebody/duckies got to enjoy it. Just another adventure in Iceland.